Stony Point is taking action to reduce the vulnerability of our town to impacts related to climate change, especially flooding. From planting trees on our stream banks to changing waterfront zoning, Stony Point is becoming more resilient to damaging storms and sea level rise! Climate Change is affecting the Earth today, with worsening conditions predicted to occur over the coming century. According to the NYS Department of Environmental Conservation, New York’s average temperature has risen nearly 2°F since 1970, with winter temperatures up by almost 5°F. The National Atmospheric Sciences Administration (NASA) reports that a vast majority of warmest years on record have occurred since 2001, and scientists predict that we may see another 6°F by mid-century. Warming temperatures impact the Earth’s systems in a variety of ways, including rising sea levels and an increase in heavy precipitation and storm events. 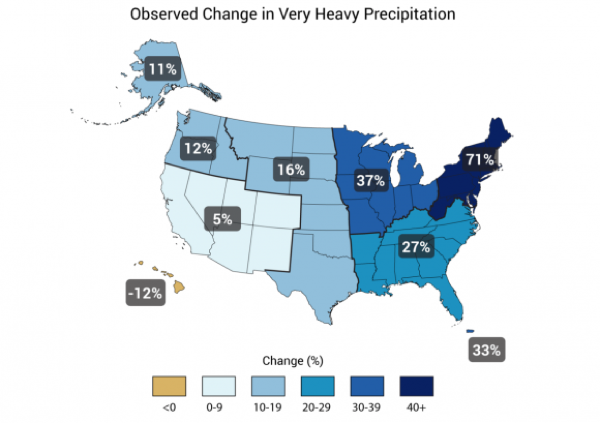 According to Cornell University, New York can expect an increase in average annual precipitation of up to 5% by 2020, and 15% by 2080’s. More rain coming in sustained heavy downpours, heightens the danger of localized flash flooding, stream bank erosion and storm damage. In the Hudson Valley, riverfront communities are vulnerable to sea level rise. The water level in the lower Hudson has risen 15 inches since 1900’s and is predicted to continue to rise, increasing flood impacts. Flood Resilience Task Force – The Town of Stony Point is one of four Hudson riverfront communities to convene a Flood Resilience Task Force. In 2014, Stony Point convened a task force of local stakeholders who studied climate and flood projections, analyzed vulnerability assessments and recommended 19 strategies for increasing the resilience of waterfront areas. In 2016, Stony Point began meeting with the other Flood Resilience Task Force communities to combine efforts in pursuit of adaptation strategies. The NYS Department of Environmental Conservation’s Hudson River Estuary Program is supporting these efforts. Download the Stony Point Task Force Final Report (PDF 2.6 MB). New York Rising – Stony Point completed a comprehensive study of flood-risk and recommended implementation projects through the NY Rising Program in 2013-2014. Download the Stony Point NY Rising Plan (PDF 11.6 MB). 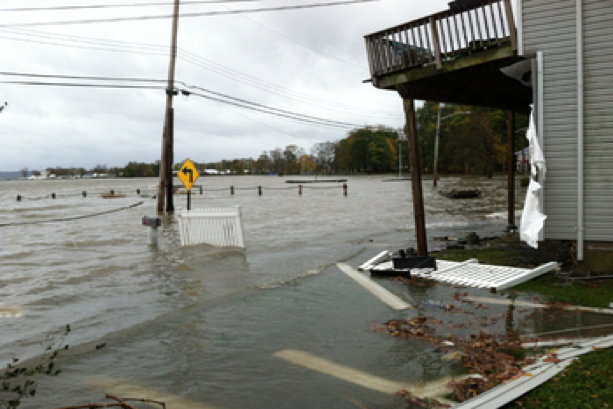 Waterfront Zoning – The Town of Stony Point passed a waterfront zoning amendment that calls for applicants to factor new Federal Emergency Management Agency (FEMA) Base Flood Elevations and sea level rise into site design. Base Flood Elevations (BFE) is established at a flood level that has a 1% chance of being equaled or exceeded in any given year - commonly known as the 100-year flood. The new zoning requires that buildings proposed as part of Waterfront Mixed-Use development must be built at least 2 feet above BFE. 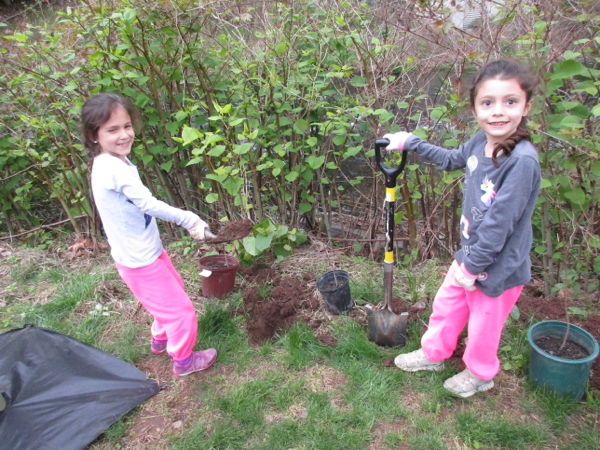 Trees for Tribs – In May of 2017, the Town of Stony Point worked with Cornell Cooperative Extension of Rockland County and the NYS Department of Environmental Conservation (NYSDEC) to plant trees along the Cedar Pond Brook at the Lowland Hills Road Town Park. The Cedar Pond Brook is prone to heavy flooding and has been impacted by erosion. The trees and shrubs planted on its shoreline will help to reduce erosion, and provide shade and nutrients to wildlife. Trees and shrubs were provided free of charge through the Trees for Tribs program, and planted by volunteers – including scout troupes. Did you know? Trees for Tribs is a program that provides landowners, municipalities and conservation organizations with low-cost or no-cost native vegetation for streamside plantings. Visit the Trees for Tribs website to learn more! Local Waterfront Revitalization Program - The Local Waterfront Revitalization Program (LWRP) is administered through the NYS Department of State, and provides coastal areas, including Hudson Estuary riverfront communities, with support for planning and implementing improvements on their waterfront. Climate adaptation and flood reduction strategies are encouraged as part of the LWRP process. Stony Point’s LWRP was adopted in 1994.
indicated that the Northeastern United States experienced a 71% increase in very heavy precipitation events from 1958 to 2012. The bridges and culverts that bring our roads over streams may not have the capacity to handle increasing storm water from more intense rainfall. Undersized culverts can also pose problems for the movement of fish and other aquatic animals. The Town of Stony Point is working with Rockland County Soil and Water Conservation District to assess the capacity of culverts to pass storm water without increased flood risk to roadways, to map the location of problem culverts and prioritize them for upgrading. The goal is to develop a Town Level Management Plan to help reduce flood risk and remove barriers to fish passage. This initiative is supported by the NYS DEC Hudson River Estuary Program, Cornell University and the NYS Water Resources Institute. Learn more about the Aquatic Connectivity and Culvert Removal initiative.